JK Meurer is the Asphalt contractor for you because our services will give you a perfectly paved driveway, parking lot, tennis court or other paved spaces. Our asphalt services can be performed on both residential and commercial property, and we can even repair areas in need. 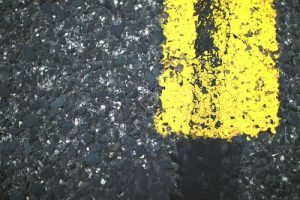 Asphalt repairs are usually needed for fixing smaller parts of a parking lot or driveway. Usually the entire area won’t need to be re-done, just certain sections of it. JK Pavement will send an asphalt professional to your site to assess the problem, find the cause of the damage, and fix what is needed in the most efficient manner. Residential customers can expect us to deliver a long-lasting paved driveway for your home. When installing blacktop driveways, the details matter and our professional and experienced staff has the expertise to deliver a quality product. Instead of just trying to get the job done as quickly as possible, we consider the amount of people that will come and go on your driveway, and how important proper installation is. For our commercial paving customers we’ll provide professional consultation and free estimatesto give you a specific scope of what work you will need done so you know exactly what you are paying for, and how you can get the best return on investment. Our parking lots are built to withstand harsh winters with the seal coats we put on them. After years of wear and tear, we can resurface, patch or repair the lot to bring it back to life. Regardless of what kind of paving service you need, look to JK Meurer. We’re reliable, credible, and understand the importance of having a professional, safe and dependable asphalt surface for you or your customers. That’s why we’ve been paving the greater Cincinnati area for over 25 years now! You can ask your neighbor, read testimonials on our website or search the web to see that we’ve been providing top notch services, and are here to stay! Give us a call at (513) 248-7500!